inteleKIOSK™ | Pay Tel Communications, Inc. 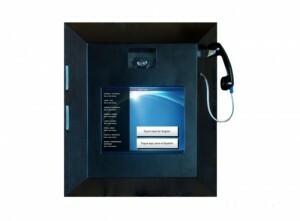 Through our strategic relationship with Tech Friends, Pay Tel offers in-pod kiosks for inmates. The inteleKIOSK™ unit is specifically designed for the rigors of a detention setting and features a shatter-proof touch screen and one-ton wall pull-off strength. Through its relationship with Tech Friends, Pay Tel can provide facilities with optional inmate tablets. Inmates are able to rent tablets at a low cost per day. The inteleTABLET™ unit offers a variety of features which save staff time and provide valuable services and information to inmates.